Apparently sites need these privacy disclaimers these days. In brief, I’m a sole proprietor, and I have very little interest in your private data. If you want to buy a book, I sell books, and will need to collect some data to make that happen (like your name, email address, and shipping address) — but if you buy the book from Amazon, Kobo, or Indigo I’ll never know it was you (in other words, if you don’t give me your personal information, I won’t have it). Even if you do buy a book through this site, I won’t have your credit card info, that’s handled securely by a third-party payment processor (Stripe or PayPal). I have a mailing list that uses MailChimp as its platform — they’re cool, it’s opt-in, you can unsubscribe at any time, and I only send a few newsletters a year (the sign-up box is in the left sidebar). This site will use a cookie to make sure that the pop-ups only show once for you (like the one on the main page advertising the course — I don’t want that bugging you every time you visit the site). The site uses a plugin for Google Analytics to let me know if I have few or many people visiting the site. They may track some stuff about your browsing, I honestly don’t really know how it works, but it’s a pretty common tool. 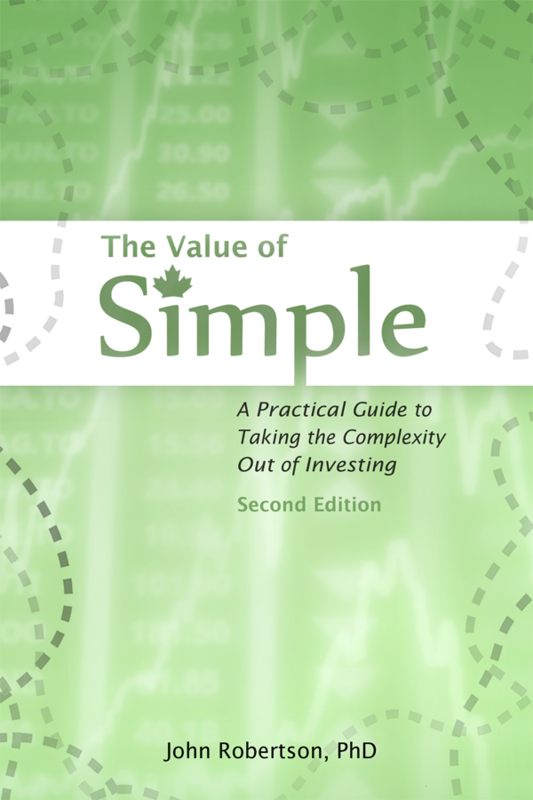 I’m John, author of The Value of Simple, and the website address (you’re here now, unless someone copied this) is: https://www.valueofsimple.ca. The site will leave a cookie to note when you have seen a pop-up (e.g., one advertising the course, a note about a recent change, or low stock warning in the shop). This helps make it so that you don’t see the same pop-up again. Generally, these cookies last 30 days. This site uses Google Analytics, which may record basic demographic information about your visit (which part of the globe you’re from, what language your web browser is reporting, which browser you’re using). It’s possible Google Analytics is also tracking information such as IP address. No one, at least not that I send to someone. Google (and also Stripe and PayPal and Mailchimp if you buy a book or sign up for the newsletter) collect certain data on my behalf. I keep what I need for reporting my taxes (i.e. sales data) for a minimum of 7 years. The default privacy terms template had a note in here about having the right to receive an exported file of the personal data I have, but I honestly have no idea how I would do that, other than for a sale (other than for a sale, I don’t think there is any data to export anyway).